Delivery service is becoming common in restaurants these days, but there’s not a single QSR brand that can boast five delivery services in one single, seamless point-of-sale system. It’s part of Checkers & Rally’s new sophisticated system of delivery that offer guests easier and quicker ways to order out while making the execution simple and intuitive for franchisee operators. The Florida-based “Crazy Good Food” brand just introduced its new delivery platform, which is the most comprehensive and franchisee-friendly delivery system in all of QSR. Uber Eats, DoorDash, Postmates, Grubhub, and Amazon Restaurants are now all together under one single, seamless point-of-sale (POS) system. Guests can order what they want from their favorite delivery service, while giving franchisees and restaurant operators a profitable and operationally simple way to fulfill those orders. Crafting a delivery platform with its multi-unit franchisees in mind was front and center for Checkers & Rally’s. After all, managing and coordinating third-party delivery business with multiple providers, can be a headache for busy franchisees. The new platform centralizes the entire business model, building a delivery support team that offers franchisees a single point of contact for their delivery business, including contract negotiations, technology support, training, and menu management. The result simplifies the business and ensures that delivery orders are as profitable as traditional orders coming through the drive-thru. 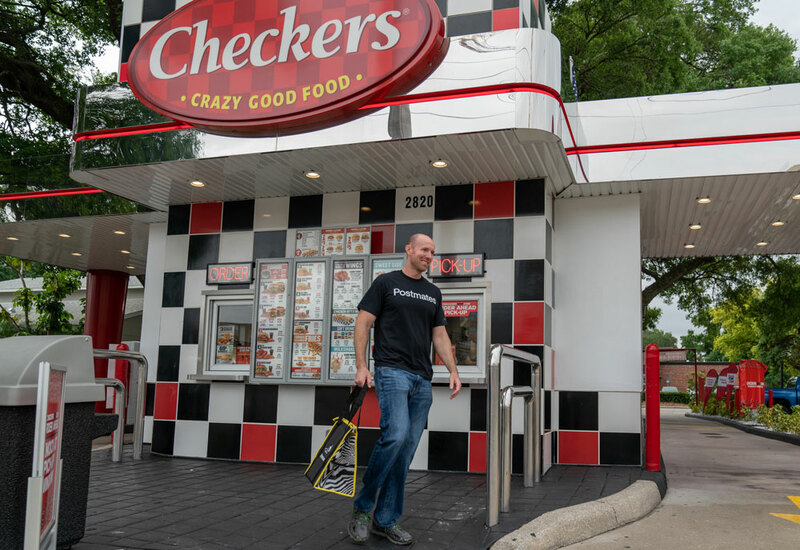 The new Checkers & Rally’s delivery platform is a huge game changer because franchisees no longer have to add a new order-receiving tablet for each third-party delivery provider they use. Now, orders from delivery services feed into a single POS system and right into the kitchen. And cashiers no longer have to re-key delivery orders into the register like most delivery systems require. Delivery orders integrate directly into the POS system, right along with traditional drive-thru and walk-up orders. The result is reduced labor, time, and user error. The fully integrated platform makes it easy and profitable for franchisees to fulfill delivery orders. And they now have an edge on other QSR brands because they can offer guests more ways to get their favorite burgers and famous seasoned fries delivered right to their front doors. It’s a great time to consider becoming a Checkers & Rally’s franchisee as the brand continues its growth march across the country, now with nearly 900 locations nationwide. The brand’s dedication to quality, efficiency, and technology tools that help give its franchisees an edge, continue to set the brand apart from the competition. 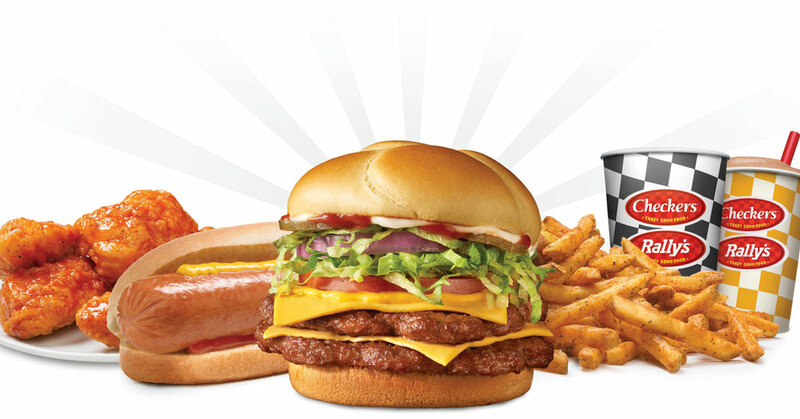 For more information about franchise opportunities with Checkers & Rally's, please visit www.checkersfranchising.com.